Westcoast Distribution Customer Magazine iQuote Coverage. Coastline Magazine is produced by Westcoast for their Reseller customers. 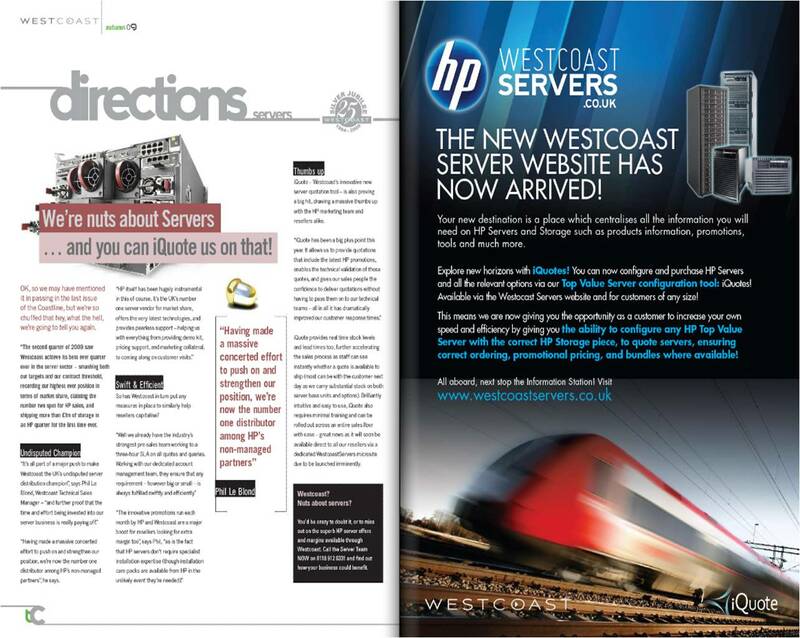 iQuote appeared in Issue 04 but was given greater coverage in Issue 05 as part of an article about Westcoast’s server business and the recently launched www.westcoastservers.co.uk.